Last week I had the privilege of making a retirement cake for a gentleman who had worked at the Victoria airport for over 40 years !!! That is a rare thing these days so I would say he was worthy of the celebration put on for him! 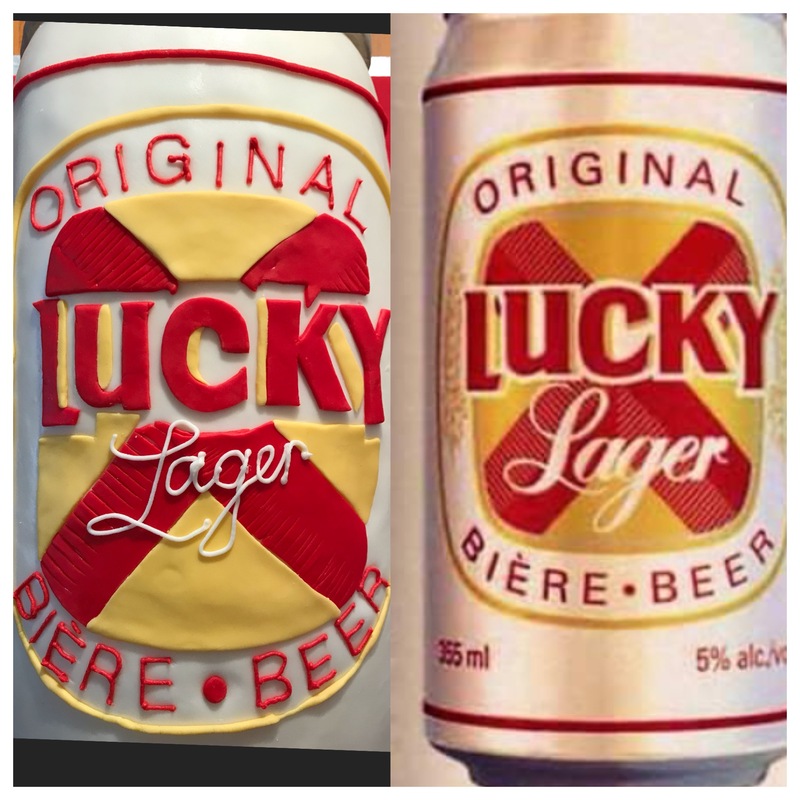 The backstory for this cake was that every Friday, the guest of honour would pick up a case of Lucky on his way home from work so if we could incorporate Lucky beer into the design it would suit him perfectly. And so, the Lucky beer can-cake was born. This was a Vanilla Cake with a Vanilla Swiss Meringue Buttercream and a generous filling of fresh Raspberry Coulis.